Established in 1996 as a not-for-profit and part of Rising Stars, Inc., Rising Stars Youth Foundation seeks to make a meaningful difference in the lives of children during the formative years. 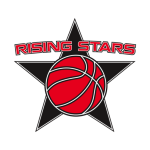 Rising Stars, Inc. is the “umbrella” (parent) organization of the Rising Stars Youth Foundation and was founded by Paul Savramis, a pioneer in instructional basketball and innovative youth programming. As a result of this effort, the organization is integral to the process of forming a better community. The involvement of Paul Savramis in Rising Stars, Inc. was a response to the need for a program to address the growing concerns of parents regarding the challenges facing young men and women during the formative years. Savramis’ lifelong passion to improve the lives of children remains the focus of Rising Stars, Inc.. Prior to his work with Rising Stars, Paul Savramis was the founder and director of Eastern Invitational Basketball Camps, a summer program that became one of the most respected basketball camps in the country. Each year, hundreds of youth gathered together for these camps, which provided intensive lessons in basketball, soccer, and tennis. Recognized as one of America’s finest basketball instructors, Paul Savramis was among the first to offer yearly programs of specialized instruction and training. The Rising Stars Youth Foundation relies on the vehicle of basketball to enroll young people in a series of annual programs. Rising Stars encourages them to remain in these programs over the course of their elementary and high-school careers. 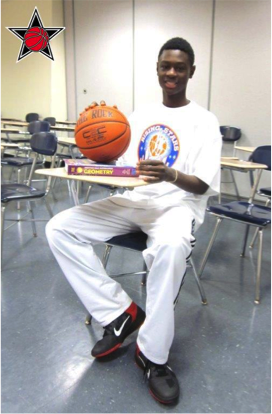 The mission of Rising Stars, Inc. is to utilize the sport of basketball to promote the values of education and hard work while presenting a safe and encouraging environment for today’s youth. According to Paul Savramis, the most important aspect of the organization’s programming is to host activities that are designed to offer structure and stability for participants. By attending camps and clinics and being a part of a team through their formative years, students in the Rising Stars Youth Foundation from Rising Stars, Inc. have healthier lifestyles while concentrating on a diversity of academic and extracurricular pursuits. The overall goal of Paul Savramis and the leadership of Rising Stars, Inc. is to provide the life skills needed for participants to make appropriate decisions for their social and professional futures. In order to create more balanced individuals, the leadership focuses on specific elements like community service and academic achievement. The programs of Rising Stars, Inc. are divided into two distinct areas that hold equal weight: basketball and education. These twin platforms allow the leadership of Rising Stars, Inc. to impart necessary life skills to participants. With an extensive curriculum and prerequisite of community service for all its young members, the organization has turned the Rising Stars Youth Foundation into a valuable part of New York City and surrounding communities. The basketball programs offered by the Rising Stars Youth Foundation are a direct answer to a growing national problem that threatens to compromise families and children. According to Paul Savramis, who holds a master’s degree in physical education, educational experts agree that a thirst for learning begins at an early age. The leadership of Rising Stars, Inc. has leveraged the idea of teamwork to train and teach young people to become trailblazers in their local communities. Additionally, Savramis hopes that with the help of Rising Stars, children and teens will be able to experience the power of respect and responsibility. Rising Stars, Inc. and the founders of the Rising Stars Youth Foundation have a powerful vision about how to strengthen young participants emotionally and physically through basketball camps and clinics. 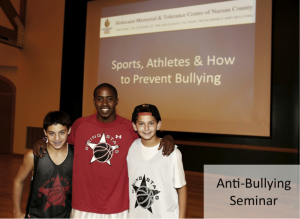 Each student is asked to be involved in a number of informative seminars that discuss vital topics such as avoiding drugs, tobacco, alcohol, anti-bullying, healthy living and more. Community service is another important component of the Rising Stars, Inc. programming. All participants must be involved in a project sponsored by one of the organization’s partners, or volunteer as a counselor for the youth basketball teams. High school students are offered the opportunity to attend seminars and one-on-one college guidance sessions to finalize their post-secondary plans. Founder Paul Savramis and the Rising Stars Youth Foundation leadership share with students a variety of services that include college visit scheduling, letters of recommendation, collegiate selection, transcript analysis, and application assistance. As a way to improve the long term efforts of the Rising Stars Youth Foundation, the team at Rising Stars, Inc. leverages an extensive group of resources and academic professionals to assist students in their efforts to apply and attend their chosen college or university. Eligible students are encouraged to apply for scholarships and other forms of financial assistance to alleviate some of the costs associated with higher education. 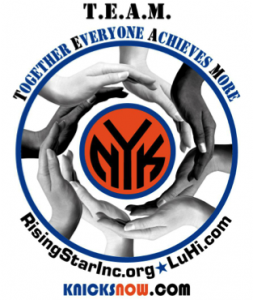 Rising Stars, Inc. has established an outreach program for the New York Tri-State area that raises awareness about the organization’s programs, most specifically among minority populations. Partnering with the Long Island City YMCA, Rising Stars, Inc. places an emphasis on helping at-risk youth through a five-year program that supports those who may be burdened with social and environmental challenges that impact their daily routines. According to Paul Savramis, with mandatory study-hall sessions and tutoring appointments, the Rising Stars Youth Foundation offers homework help to students requiring extra attention. Mr. Savramis resides in Long Island, New York. In addition to his work with Rising Stars, he is a strong supporter of the Ronald McDonald House and the Children’s Cancer Research Fund.